Wedding photo in Rome – At the end, the day for Anna and Angelo has arrived. We met several months ago, then we met again in the summer for some engagement shots, but the time has passed very quickly. From the beginning it was already clear that it would be a beautiful marriage between two guys really fall in love, surrounded by amazing and happy people. The weather did the rest, it gave us a spring day in December. And so, the day started early. 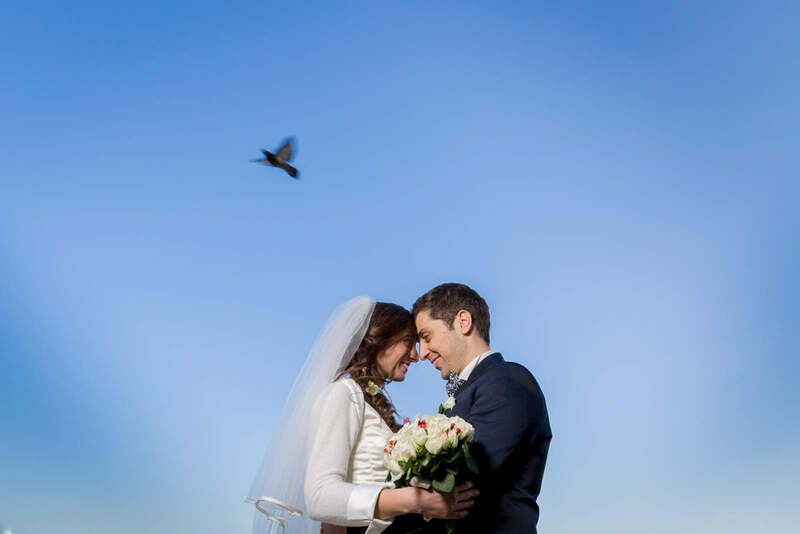 They come from South, but they chose Rome, which has been their home for university studies, and where they met a community of friends so beautiful, who decided to get married here, next Sant’Ippolito’s parish. Bus for people coming from their cities, problem solved and wishes come true. Two hotels near the church, Hotel Regina Margherita for Anna and Romaroom for Angelo and family, and preparations served! Everything treated in minimum details, with a nice and simple dress by Anna Spose, even with the help of Tamara D’Andria, image consultant for the special bride of the day. An intense ceremony and I have to say that I have never seen a church so crowded (the photos speak for themselves), reflecting the close relationship that Anna and Angelo have with this community. They themselves chose to take the couple photos in a wonderful place, on Palatino, next to San Bonaventura’s Convent: a breathtaking view to Foro Romano and across Rome, and so much emotion. Taking wedding photo Rome is always a unique experience. The party, brakeless, at Fauno del Bosco, near Albano Lake, with Self Portrait Blues, an electrifying band, certainly supported by happiness and the guests desire to celebrate. I think that all the wishes have come true, it could not be otherwise. The photos should be up, right? Finally, a fantastic season, all beautiful weddings, stylish couples, charming places, and I hope to have satisfied the desires of everyone, that it’s my personal goal. My photography is based on a simple, clean and elegant style, an art photography where emotions and moments come together in search of aesthetic and formal beauty, without never asking for fantasy poses and attitudes.